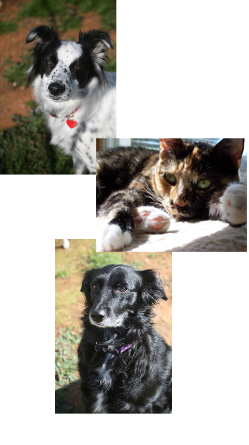 Promoting Behavior, Wellness and Confidence for companion animals and their people. Tellington TTouch® is a wonderful method to help your companion animals. It can deepen the bond between you and your companion animal and it contributes in positive ways toward improving behavioral and health issues in your pet. The Pro Dog Training® Method by AbsoluteDogs® is a concept training method. This is an innovative reward and game based training that shapes your dog’s personality and brain so that he or she can achieve their full potential.